The Perfector was born out of a chance encounter between a PGA Teaching Pro and an engineer on his first golfing lesson. The Pro, a thinking man, who regards golf in an almost religious way, searched for an easy precise drill or teaching aid to move the golf club on the back swing from an address position into the position where the left arm is parallel to the ground; whilst keeping the club head travelling ON PLANE. The troubled Pro knew there should be a better way and duly spoke to the client, an engineer, regarding some sort of device. The engineer noticed that sticking alignment sticks in the ground was less accurate than it might be and, of course, they could not be used in the indoor range. The engineer took up the challenge and between the two of them the Perfector was born 9 Months later. Although the gestation time was the same as a human embryo, the Perfector is a whole lot quieter at night. A portable swing plane training aid. One of the hardest concepts for golfers who are trying to improve and those who are social golfers to understand, is the concept of precision and immediate feedback in the small amount of time that they have to practice. The PERFECTOR gives players both of these vital elements. The precision comes from the constant plane angle and base line and the feedback is immediate visually and kinesthetically. This allows the golfer to notice the changes he/she is making the second he/she has made a swing or completed a drill. The small light PERFCTOR also allows golfers to take their practice regime anywhere with them so that within 3/4 minutes they can be up and running practising perfectly, even INDOORS. 15 minutes a day working with the PERFECTOR will improve your PLANE , PATH and CLUBFACE at impact. 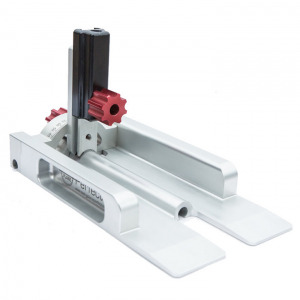 If you have any questions regarding the Golf Swing Plane Perfector, please give us a call, we would be happy to help you with any questions you may have. 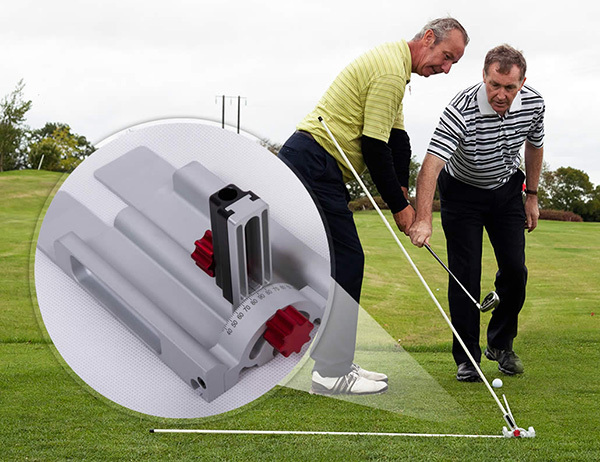 Write an online review on the Golf Swing Plane Perfector, and share your thoughts with others.